Choose “credit” on the drop down menu. Click “Search” when you’re done. 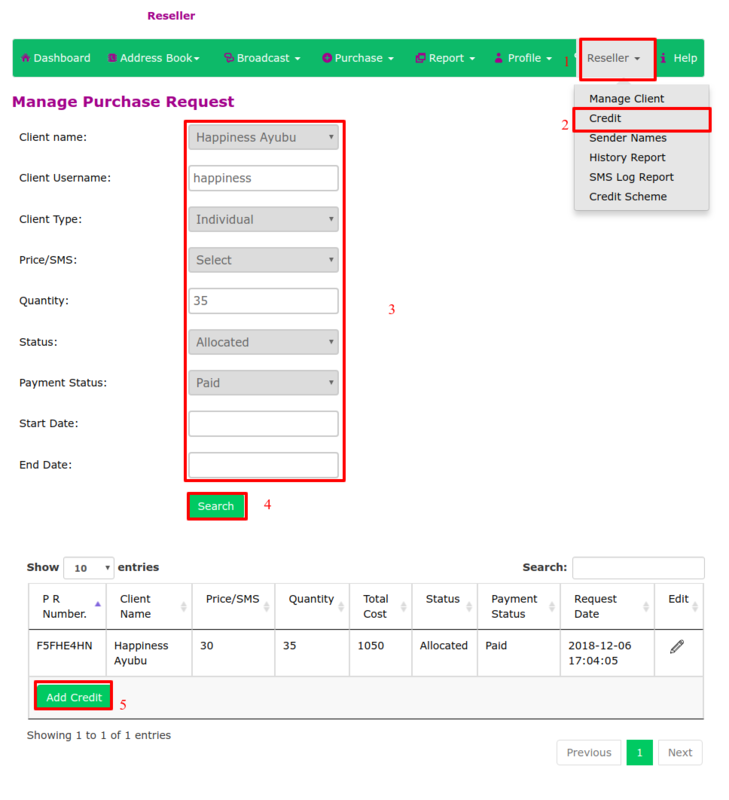 After that you will get the results for what you have searched for or you can also view your clients information directly the table of entries without searching., then click "Add Credits"
To edit your client’s request, go to the last column named “Action” and click on the pencil icon to continue. 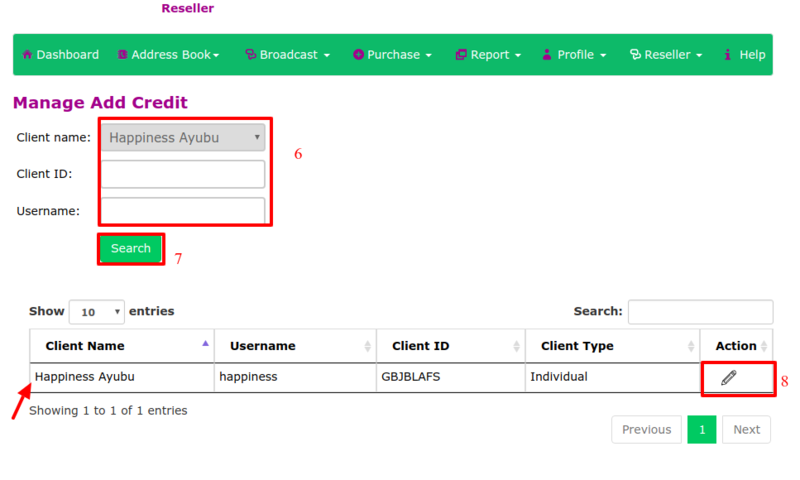 When done click “Save” or you can click "cancel to return to the previous page"
You will receive a notification that” Credit updated successfully” as shown below.